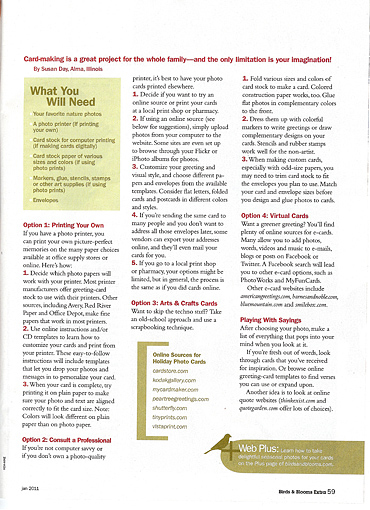 Susan wrote a little article for the January 2011 issue of Birds & Blooms Extra called “Take & Make Cards.” It gives basic info about creating your own cards with nature photos that you take. Look for it in newsstands now! 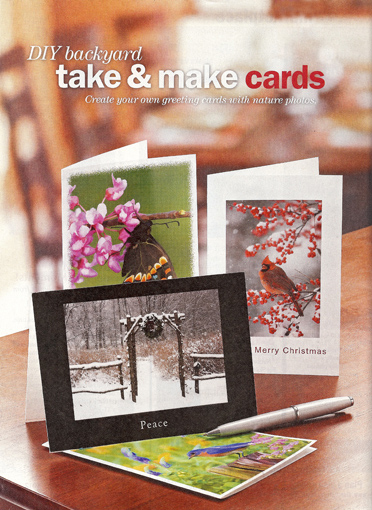 This entry was posted on Monday, December 27th, 2010 at 10:29 am	and is filed under Birds, Butterflies, garden writing, Gardens. You can follow any responses to this entry through the RSS 2.0 feed. Both comments and pings are currently closed.